Social media is one of the best platforms to promote business. It continues to gain the focus of the companies. Most of the companies or the brand uses social media to promote their brand or the company. But did you know that there has been the rise of video marketing on social media? Most of the people are not aware of it. Here we are providing some of the few points to understand the fact of the video marketing on social media. Some of the web designing companies are helping brand and products owners for video marketing on social media. Everyone is aware that approximately 3.25 billion hours of the videos are watched every month on YouTube. There are 59% of the people who preferred to watch videos instead of reading texts. Each day approximately 5 billion video views are received on YouTube. It is recorded that nearly 500 million people watch Facebook videos each day. According to a report it was noted that Facebook is getting more daily minutes watched than YouTube. Hence the videos shared on social media are driving much higher engagement than ever before. Thus you need to have a full-fledged strategy for video marketing on social media. Here we are providing the complete guide to create, promote and optimize your video content. It will help to improve your social reach or we can say the social media optimization. You are also thinking about the video marketing strategy for social media then first thing is that you have to stay up to date with the recommended sizes, dimensions, specs and ratios for all your video posts. We all know that YouTube is the huge and the wide library of the videos. We can say it the big giant stock of the videos. This is the quite valuable platform for growing your brand. It helps to reach to the new audiences. This feature makes it a favorite of most of the businesses and the brand promoters. When we look at the current trend it shows the rise in the popularity of Facebook videos. Even more, nearly four billion videos are streams daily on Facebook. Facebook having the large range of the data then how can we ignore that the power of sharing Facebook videos is more. Hence we have Facebook videos ads too. When we share the YouTube video links on Facebook then it is a good way to add more views to your work. Another thing to consider is that you should try to upload the videos natively to Facebook. 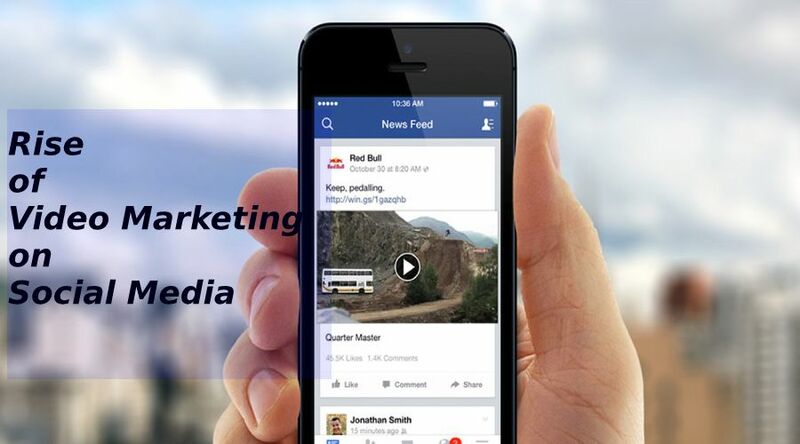 With the help of the Facebook videos, you can directly reach to your targeted audience. What you have to remember while posting the video? When we talk about Instagram then the first thing is that it is all about the creative and unique way of advertising. It gives the high view rate to video ads in its feed. With the help of the 10-second instagram story clipped placed on the top of the feed, you can attract the number of users to your brand or towards products.